Civil aspirants, hurry! Union Public Service Commission (UPSC) has activated registration link for UPSC Civil Services Prelims 2019 examination. Aspirants will be able to access the application forms online on upsconline.nic.in. The UPSC said the last date to apply is March 18. The UPSC CSE 2019 Prelims will be held on June 2, 2019. The UPSC Main Exam will be conducted on September 20. This year's UPSC Prelims brings good news: Eligible aspirants will be able to get the benefits of reservation for economically weaker sections, the government said. Reservation will be made for candidates belonging to Scheduled Castes, Scheduled Tribes, Other Backward Classes, the Economically Weaker Sections and persons with benchmark disability in respect of vacancies as may be fixed by the government, it said in a notification. The online application forms is a two-step process – registration and filling of Part I and Part II online application forms. Step 2: Select Part 1. After reading the instructions carefully, click on the 'Yes' option, which you will find at the bottom of the web page. Step 3: A form will be displayed on the screen asking you to fill in details like Name, DOB, Address, etc. Step 4: After filling the online application forms, candidates would be required to pay the fees. Remember that application forms without fee payment would be rejected. Step 5: After registering Part 1, you will be allotted a 'Registration number', which will allow you to fill Part II online application form. Please note: There will be a ceiling on the number of candidates allotted to each of the Centres except Chennai, Dispur, Kolkata and Nagpur. Allotment of Centres will be on the 'first-apply-first allot' basis, and once the capacity of a particular Centre is attained, the same will be frozen. Applicants are, thus, advised that they may apply early so that they could get a Centre of their choice. Last date to apply for USPC 2019 Prelims is March 18, up to 6 pm. Age limit for USPC 2019 Prelims: A candidate must have attained the age of 21 years and must not have attained the age of 32 years on August 1, 2019 i.e., he or she must have been born not earlier than 2nd August, 1987 and not later than 1st August, 1998. Number of attempts for UPSC exam: Every candidate appearing at the examination, who is otherwise eligible, shall be permitted six attempts at the examination. The number of attempts are relaxable for certain category of candidates. 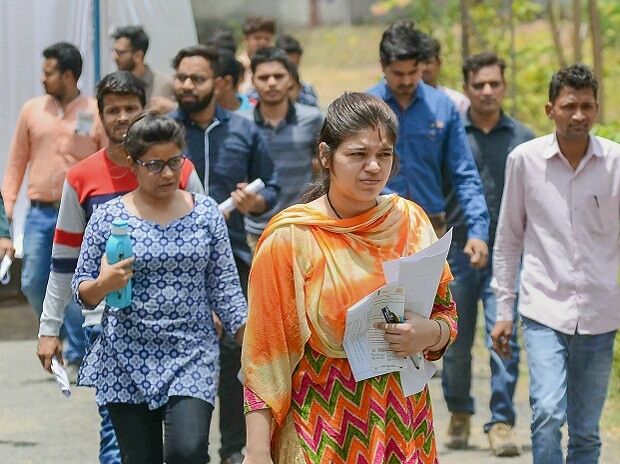 Quota for EWS, SC/ST, OBC in UPSC Civil Services exam 2019: The Centre had decided to implement 10 per cent reservation for people belonging to economically weaker sections of the society for recruitment in central government posts with effect from February 1, 2019. Eligible aspirants will be able to get the benefits of reservation for economically weaker sections, the government said. Persons with benchmark disability in respect of vacancies as may be fixed by the government. UPSC exam 2019 Admit card: The UPSC will give out e-Admit Cards three weeks before the commencement of the examination. No Admit Card will be sent by post. Only Indian citizen can apply for IAS, IFS (Indian Foreign Services) and IPS services. For other posts, the following candidates are also eligible to apply, provided they have the necessary certificate issued by the Government of India. * Person of Indian origin who has migrated from Pakistan, Burma, Sri Lanka, East African countries of Kenya, Uganda, the United Republic of Tanzania, Zambia, Malawi, Zaire, Ethiopia and Vietnam with the intention of permanently settling in India. The CSE is conducted in three stages - preliminary, main and interview. The exam is held to select officers for Indian Administrative Service (IAS), Indian Foreign Service (IFS) and Indian Police Service (IPS) and other departments of the Indian government.